Call us today at (913) 225-8215 to get started on insuring your security guard company. Make sure you have a general liability policy that includes professional liability. In many claims situations, it can be difficult to distinguish which line of coverage the insurance falls under. The last thing you want is two different insurance carriers fighting over whose responsibility it is. Also, make sure you have full limits in the policy available for Assault and Battery coverage. Some carriers will want to provide a sub-limit. Additionally, many of these policies are rated on billable hours. If your policy is based on payroll, make sure they put a cap on the hourly pay. The last thing you want is to be charged more premium because you have more experienced staff with better pay. Finally, make sure your carrier is “A” rated. There are many substandard carriers in this segment and you want to make sure your carrier has the financial strength to satisfy any claims. Security Guards, also called security officers, fulfill a vital role in many situations. They patrol and examine businesses and homes to protect against theft, fire, terrorism, vandalism, and other unlawful activity. Security Guards aren’t just untrained people walking around, however. Instead, they are detailed as they write comprehensive reports describing their observations and activities throughout their appointed shift. Forte Insurance Group specializes in Security Guard companies. This allows us to find the perfect coverage for your business and employees. Security guards generally carry out a bunch of similar tasks. However, specific tasks differ based upon whether the guard is stationed at a ‘static’ security position or on a mobile patrol. 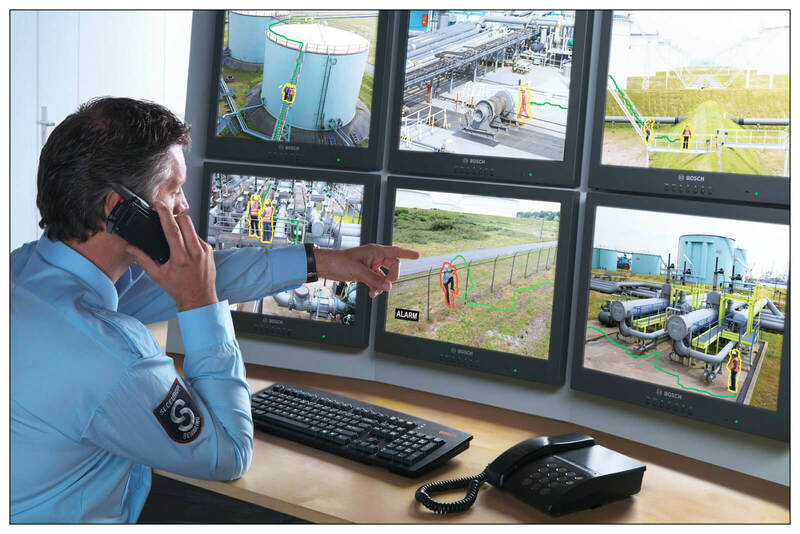 Mobile guards tend to walk/drive the premises while those appointed to static security positions typically serve the customer at one location for a defined length of time. This would include security guards positioned at building entrances or in a centralized monitoring station. The security personnel’s job responsibilities also differ with the location, type and size of company that they are assigned to. In hospitals, office buildings and banks, trained guards safeguard the institutions’ customers, personnel and property. In a retail store environment, security personnel protect property, equipment, products, records and employees. They typically work with undercover store detectives to prevent theft by employees or consumers, and they help nail shoplifting suspects prior to the arrival of the police. Many theaters and shopping centers have officers who patrol their parking area to deter burglaries and car thefts. There are lots of other responsibilities for security guards – more than we can list here. You need someone who truly understands your business needs. We work extremely hard to provide the right solution because we are willing to utilize our expertise and invest our time for you. We work extremely hard to save you money. We work extremely hard to provide you with world-class customer service (yes, we’ll return your calls promptly). We work extremely hard to understand this industry and YOUR business. We create a customized insurance plan to fit your Security business. We have the expertise to examine your business and determine the biggest threat to your profitability and then create a plan that fits within your business profile. We build up protections where we know you have risk while work with you save money when possible. We have General and Professional Liability programs for unarmed and armed security guard agencies, private investigators and private patrol operators. We work with a lot of private security companies and understand how the business works. That is how we are able to get such good rates. When it comes to armed security guard insurance, we know EXACTLY what it takes to find the best program to get you to work. We lower your risk and reduce your rates, so please call today. What does Security Guard Insurance Cost? Well, the cost varies. I know, I know, that is such a bad answer. In general, the cost is based upon the factors that surround your security company, including number of guards, types of property being guarded, etc. The one thing that I can guarantee, however, is that we will work as hard as we possibly can to get you the lowest rate possible. We know all about security insurance and how to save you on your costs. We have multiple specialized carriers that understand the industry and we use our contacts (and lots of elbow grease) to get you the absolute best rate for your policy. General Information – What are Security Guards? A security guard (or officer) is an individual that gets compensated to safeguard property, people, or possessions. Security Guards are typically privately and officially employed civilian workers. Guards usually wear a uniform and act to safeguard possessions or property by keeping a noticeable existence to hinder illegal and unsuitable actions, by watching for indicators of criminal activity, fire or condition; a security officer than takes action by reporting any situation to emergency services and their clients as they deem proper. Lots of security companies and exclusive security departments use the same type of methodology. First the detect any unusual activity. Then, they deter the inappropriate activity through any readily available means. They observe action being performed and then report that action to the proper authorities, which includes local police as well as their clients. Security personnel do not have to arrest anybody that is being reported (and many times, a security guard is not equipped to do so), but they do have the right to act as an agent of the police. Many states have additional training that is needed for someone to act as a security guard. You don’t just hand a gun, flashlight and mace to anybody off the street. Instead, these people are trained in the use of their equipment and good security guard firms also train their personnel on what to observe. Further, many clients require additional training for the saving of lives as security personnel are many times the first responders. Thus, emergency medical training is critical as well as basic fire safety. Further, any hazardous materials are generally known to the security officers and they can help others in navigating those potentially dangerous situations. In recent times, due to raised hazards of terrorism, many gatekeepers are required to have emergency crisis and bomb-threat education, specifically those situated near soft target locations such as mall, schools, stadiums, and other locations where people are found in large numbers. A significant financial reason for security workers is due to the insurance carriers. They provide (especially fire insurance carriers) significant rate price cuts to locations that have a person there at all times. For many expensive property areas (think office buildings or warehouses), this discount usually exceeds the cash being invested. Discounts are provided because the probabilities that any fire will be discovered and reported to the local fire department prior to a total loss occurs is increased when there is security on the premises. Further, security personnel tends to significantly deter theft, worker misbehavior (leading to lower workers’ compensation claims), shrinkage and other bad behavior. Security workers may also carry out access at vehicle gates and building; meaning, they make sure that visitors and staff members show correct passes or recognition prior to getting in the center. Gatekeepers are typically hired to handle small emergency situations (lost individuals, dead car batteries, lockouts, directions, etc.) and help in serious emergency situations by assisting local emergency workers, by documenting what occurred on an event report, and helping to redirect foot traffic to safe locations. One of the most noticeable of all the duties of security guards is that of patrolling an area. Recently, technology has helped in this area by reducing the need for the old punch clock and paper sheets to show what was patrolled. Instead, local GPS trackers are utilized to show a patrol guards routes and what time was spent in the areas. This is used in several ways. First, companies will use this data to help determine whether the guard is patrolling the right areas and the amount of time spent on each area. Thus, the company can determine how to best allocate the guards’ time. Second, a company can also determine whether the security guard is actually working (or not). Finally, a client can use this to work with their security company to provide the most efficient use of time. Although gatekeepers differ considerably from military workers, policeman, federal officers/agents, etc, there is an increasing number of security guards that have this type of experience. Increasingly, young people are using security guard experience to help them with public service. Human Being Resources Manager, who make sure that the client gets the proper amount of employees, administration, equipment, training and development, employees’ compensation, and audit compliance. They executes corporate policies and regulations regarding the workflow process. Proprietary (or “in-house”, i.e. utilized by the exact same business they safeguard, such as a casino, office building or shopping mall). Security Manager, meets with staff members and clients as needed to make sure client and employee fulfillment. Security Officer Assignment and scheduling leading to client satisfaction, staff member retention and expense kept within specified client monetary considerations. Contract personnel. These private companies provide services to many clients in a variety of locations and in a variety of different ways. Special Police, or Private Law enforcement agent. Public Security, an individual utilized or selected as an (typically equipped) security officer through a government agency or other government body. Para-police, which are firms that engage in criminal examination and arrest (like Rocky Mountain Bounty Hunter). Personal Patrol Officers, automobile patrol officers that safeguard several customer facilities. Market terms for workers consist of: security officer, guard, safety patrol, security agent, business authorities, personal police, public safety patrol, and security enforcement officer. Some terms for individualized tasks consist of bodyguards, bouncer, loss prevention, executive security agent, healthcare facility security officer, criminal activity prevention officer, alarm responder, patrolman, mall security officer, personal patrol operator, and personal patrol officer. The whole process around a security guard business is first finding the proper locale and clients. The goal is not to just set up shop and hope people come in the door. Instead, focus your time and energy on getting good clients. Consistently replace mediocre clients with better clients. Become known for a great area. Don’t be a jack of all trades, but instead be an expert at one area. It’s much better to get clients in a specified area try and get clients in all areas. It’s vital to have a good plan. This plan is something that you should review regularly as it will keep you on track on what is important and not get distracted by the day-to-day “fires” that crop up. Instead, focus on what keeps your business growing and profitable. New start up security personnel general responsibility plan expense, protections, and also items needed to provide a quote. For example: maybe your state’s insurance regulations allow your agency to forgo workers’ settlement insurance coverage by yourself individual job hours. You will certainly be ineligible to file a workers’ comp insurance claim but can conserve a considerable amount in insurance costs– offered that you are willing to function the changes yourself. In this circumstance you will only pay employees’ payment premiums on the shifts worked by your police man. Due to the fact that running a security firm needs extremely little in funding possessions, there are couple of upfront costs. The private safety and security industry isn’t really heavily managed; so, while there are some regulative expenses to start your company– they don’t amount to a lot. Insurance costs will differ by location but it isn’t unreasonable to price the collective insurance costs for a start-up firm at $4,700 for the initial year of service. These expenses include one year of a general responsibility insurance premium ($2,500), employees’ compensation insurance ($1,000), and also, if utilized, vehicle insurance coverage for your patrol car ($1,200). Numerous states call for the agency to get a safety and security company certificate as well as will likely need the company to show proof of general liability insurance policy prior to a permit can be provided. Insurance policy prices are the biggest element of the brand-new company’s overhead. By alloting a year’s well worth of premiums you will certainly supply yourself with time to safeguard the paying customers that will enable you to fund the insurance revivals when they come due. Likewise the safety entrepreneur might choose to function one of his own standing posts. This permits him to continue gaining an income without building in overhead for his very own salary. Utilizing this approach he maintains upfront expenses reduced while he constructs his business. As an example: perhaps your state’s insurance policy endorsements enable your agency to waive employees’ settlement insurance policy on your own individual work hrs. You will be ineligible to file a workers’ compensation insurance claim but might save a considerable quantity in insurance coverage expenses– provided that you are willing to function the changes on your own. In this scenario you will only pay workers’ settlement premiums on the shifts worked by your police officers. There are few in advance costs since running a security firm needs very little in capital properties. The private safety and security market isn’t heavily managed; so, while there are some regulatory prices to start your company– they don’t amount to much. Insurance prices will vary by area however it isn’t really unreasonable to price the collective insurance policy costs for a start-up firm at $4,700 for the initial year of organization. Insurance policy expenses are the largest element of the brand-new company’s overhead. By setting aside a year’s worth of costs you will provide on your own with time to safeguard the paying clients that will certainly permit you to fund the insurance coverage renewals when they come due. Also the safety and security company owner could choose to function one of his own standing blog posts. This allows him to continue making a revenue without structure in overhead for his own salary. Utilizing this strategy he keeps in advance costs low while he builds his firm. There are also companies that provide surety bonds for security guard companies (but we don’t). These surety bonds are known as license and permit bonds and can be found from a variety of sources, some of which you can find here or here. Good luck on your bonding.